Joining Accusoft a few short months ago, I immediately recognized that there is a strong passion for innovation in the company. What I also noticed was that Accusoft always puts their customers first. When I came on board as the Director of Customer Relationship Management, our mission was to redesign the way we connected with our clients. It's vital to get customer insight and build relationships, and Accusoft was already doing a lot of those things. However, they needed more dedicated support. 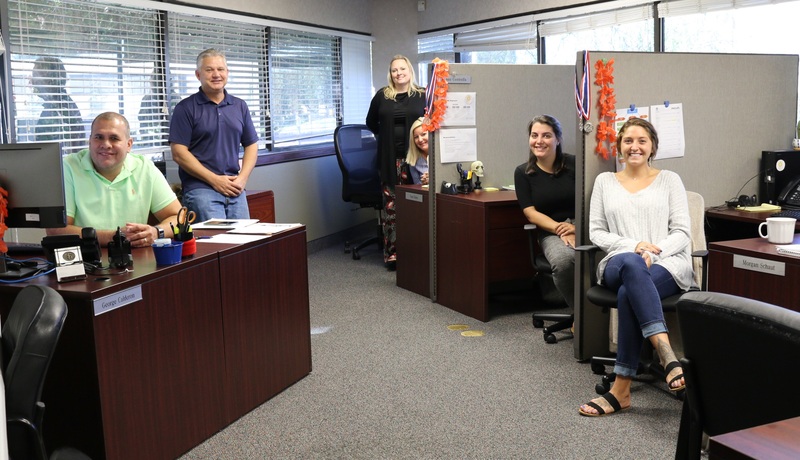 We created the Customer Relationship Management (CRM) department in June of 2018 to continue building and maintaining the bond between our company and our customers. We want to know what our customers think about the products we currently have and how we can improve those offerings. No one can deny that the technical landscape can be complicated. We understand that SDKs and APIs have many applications and are used in a myriad of ways. So it’s completely understandable when our clients have questions on new feature updates, the integration process, and how they can use our products to enhance their software. By adding the CRM team to the mix, we're providing a direct line for customers who have questions, concerns, or input. We hope to not only provide first class support, but also engage our customers in conversations about what solutions are available for their needs. We're confident that we now have the perfect combination of products and support to help our customers excel. Plus, we can now understand what we do well and what we need to do to expand our offerings. Now Accusoft's customers have a dedicated resource for services including contact renewals, billing, support, and questions. If you need help finding solutions to boost your applications and streamline your development cycles, we've got a Customer Relationship Representative (CRR) that knows exactly how to address your needs. Our CRM team is comprised of dedicated CRRs who are in charge of specific customer accounts. Created in alignment with the sales team, your dedicated CRR is the core resource for understanding product changes, updates, and information. Whether there is a changing need in the way you use our products or a simple question you need addressed, your dedicated CRR will have all the answers. Now that our CRM Department is now fully up and running, we look forward to being the champion for our customers. We welcome the opportunity to partner with our existing customer base and to create new partnerships as we move ahead with this exciting new venture. During the next few months, our CRRs will continue to reach out to current customers. So if you're already an Accusoft veteran, expect a call soon. If you're new, we can't wait to help you address your company's needs. I'm very excited to be a part of a team that is dedicated to innovation. We can't wait to help you get the most out of your Accusoft products.